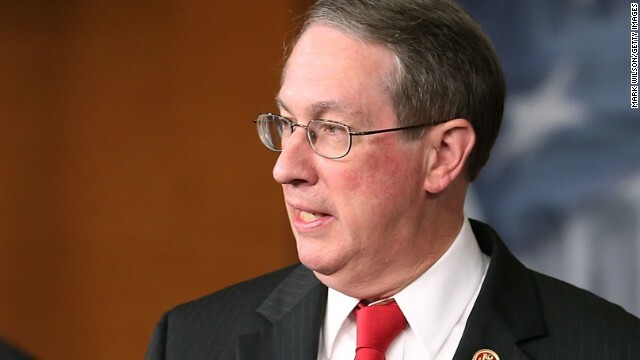 (CNN) - The House will hold hearings on the Voting Rights Act in July, following the Supreme Court's decision last week striking down a central part of the landmark law, House Judiciary Committee chairman Bob Goodlatte told CNN Sunday. The Virginia Republican said he doesn't know whether Congress will work to change the law so that it's considered constitutional by the justices. “We'll look at what new data is available and we will make sure that people's freedom to vote in elections in this country is protected." Pressed by CNN Chief Political Correspondent Candy Crowley on whether he predicts any specific activity on the issue from his committee, he said: "We don't know yet." Deplorable voting conditions spurred Congress five decades ago to require certain parts of the United States to "preclear" changes to voting laws, even minor changes such as moving a polling booth across the street. Many in those states object to such federal oversight, but defenders of the rule say it keeps those areas accountable and helps prevent repeats of past discrimination, especially against minorities. In a 5-4 decision Tuesday, the court ruled that the section of the law requiring preclearance was effectively invalid, and threw the issue back to Congress, saying it's up to Capitol Hill to determine the formula for which areas are covered by the act. In the majority opinion, Chief Justice John Roberts wrote the law has "no logical relation to the present day." "While any racial discrimination in voting is too much, Congress must ensure that the legislation it passes to remedy the problem speaks to the current conditions," he added. Republicans largely hailed the decision. Some states that were waiting for approval from the federal government to go ahead with voter identification laws now say they no longer need permission. Opponents of the Supreme Court's decisions have already started lobbying Congress to revisit the Voting Rights Act. - CNN’s Bill Mears contributed to this report. Here is what some states are going to do: They are going to say if you are a college student you can no longer vote by absentee ballot. You can vote by absentee ballot if you serve in the military, visiting abroad, visiting or having business in another state. Another thing I see some states doing in regards to voting laws: You have to provide proof of residency, proof of employment/income, or proof of filing federal income taxes in order to register to vote (if you are a senior citizen and have retired there is an exemption-but you will have to proof of some sort of income). Excuse people did the u.s.supreme court rule in favor to strip black and latinos from votering not the gops. Justice roberts did that and rest of the justices. They did backstabbing to minorities. "legislation must reflect current conditions. " Well then most of the Constitution is out dated. Make federal voting laws which must be enforced in all 50 States. All States must comply. Re- districting should not be allowed either. More voting machines to shorten lines and more days to vote.